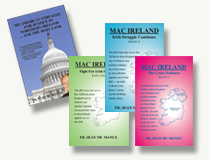 Anybody who subscribed to the ‘DUP-Sinn Féin sham fight’ theory was yesterday left with egg on their face as Martin McGuinness effectively called time on ten years of devolution. Despite his failing health, the ex-deputy first minister spoke with conviction and was unambiguous in where he believed blame for Stormont’s latest failure lies. It seems the Renewable Heat Incentive (RHI) scandal was the catalyst that brought republicans to their senses but the origins of this crisis go much deeper and reflect Sinn Féin’s growing frustration with the entire power-sharing project. They had hoped that a strong performance from the DUP in last May’s election would have given Arlene Foster the confidence to make concessions – even minor ones – but it seems all Sinn Féin got from their partners in government was disrespect and a continued failure to acknowledge parity of esteem. In Stormont’s power battle, republicanism and nationalism were always at a disadvantage because their electorate needed to see evidence of change to demonstrate that their concerns mattered, while the DUP were only required to maintain the status quo to show its electorate who was in charge. Despite a series of agreements and Sinn Féin’s efforts to promote reconciliation, reciprocal gestures were rare, and a lack of DUP maneuverability on any front, whether on RHI, legacy or the Irish language, ultimately poisoned the relationship. In Martin McGuinness’s resignation remarks, we saw not just anger at recent events but the culmination of a decade’s disappointment. The two governments will do their best over the next six days to put Humpty back together again, but in both Dublin and London, there is reluctant realization that an election in early March is an increasing likelihood. Where that will leave us is unclear. There’s an assumption that a reduced number of MLAs notwithstanding, the assembly which emerges post-fresh election will look very similar to what we have today, with the DUP and Sinn Féin continuing to dominate but potentially with different figureheads. The possibility exists that both the ‘big two’ could suffer electorally – Sinn Féin continuing to suffer at the hands of voter apathy, the DUP damaged by the backlash from the RHI scandal. The opposition parties may be optimistic about making gains, but a complete reconfiguration of the electoral landscape is extremely remote, even in an era of shock poll results. Where a matter of weeks ago we were in the most stable period of devolved government, 2017 has begun with the prospects for a shared future looking distinctly elusive.